The caterpillars pupate in their shelter. 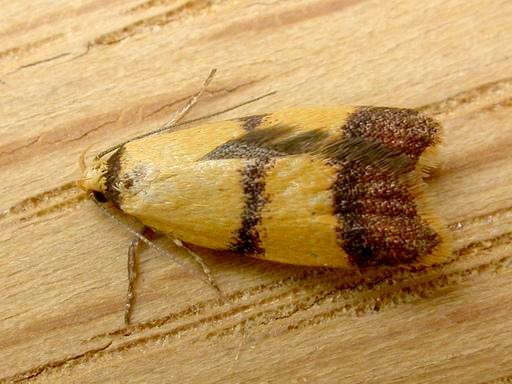 The adult moths of this species have yellow forewings each with a broad dark edged brown margin, and a brown line across the middle. The hindwings are brown. The wingspan is about 1.5 cms. CSIRO Publishing, Melbourne 1994, pp. 116, 118, 119, 122. Part 30 (1864), p. 1029.